Currently available MicroCHP boiler systems can provide a logical replacement for a wall hung boiler and are suited to nearly all homes across the UK. If purchased now they have the ability to benefit from the micro chp feed in tariff and micro chp generation tariff for the full ten years allotted by the UK government for micro CHP systems. They have a range of economic and environmental benefits that are explained in the following pages. Micro CHP systems can be up to 92% efficient, meaning that more energy is taken from the gas when it is burned so less fuel is needed to operate the system. By producing electricity on-site you increase the efficiency of the process of powering your home. This is achieved by eliminating the transmission losses that the national grid faces when transferring the electricity to your home and will generally lower your carbon emissions. (Most grid electricity is produced by burning fossil fuels, so it is worth bearing in mind that your combined carbon emissions could actually rise if your electricity happens to be produced using a nuclear power plant). Looking at a ‘Stirling Engine’ microCHP boiler that is currently available to the UK market at an installed cost of ~£5000, a 1kW micro CHP boiler is best purchased when it is acquired to replace a typical gas condenser boiler, that has reached the end of its economic life. For the electricity you generate you will receive the feed-in tariff, which is currently set at 12.89p/kWh and is index linked over the 10 year period. You can offset the price of your system with the notion that theoretically you will be using less gas to heat your home or business compared to a standard condensing boiler in addition to fulfilling a proportion of your property’s electricity demand, thereby saving money on your annual electricity bills. The true value of such micro CHP boilers can be felt when a property’s energy rating is low and/or the annual heat requirement is very high (see the payback chart). This is because the longer the unit is required to be operational, the more electricity it generates and the more energy it generates, the greater the economic returns. This is primarily due to the fact that electricity is far more expensive per kWh than gas. Further benefits can be achieved by managing your electricity usage at times when the boiler is operational. The more of the electricity you use on-site when the mCHP unit is running, the greater economic rewards you will achieve. This is because your requirement for expensive ‘dirty’ grid electricity will reduce proportionately to that which is generated by the m-CHP unit. A recommended way to utilise 100% of the electricity generated by the unit, is to feed any unused electricity (when operational) into an immersion heater, thereby maximising the usage of the cheaper ‘home made’ electricity. This is because most FIT enabled technologies only have a generation meter and not an export meter, so the export amount is presumed to be 50% of all the electricity generated, whether you use 100%, 20% or anything in-between. Your installer can advise you on ways to achieve optimal system utilisation (this precise process can be applied to any FIT generating equipment without an export meter present). 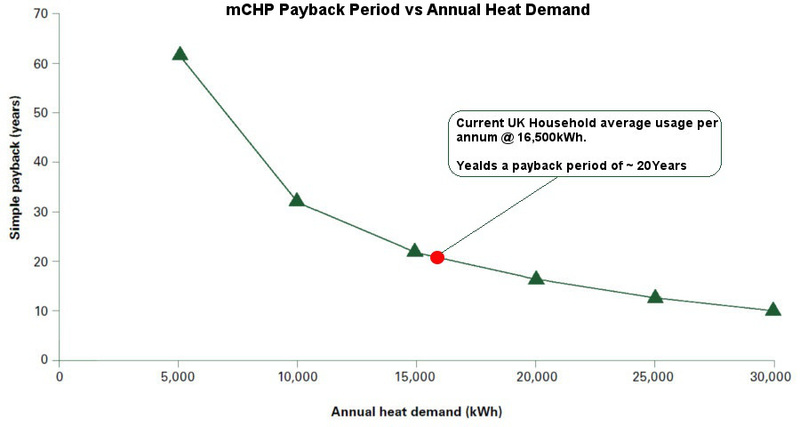 There are many factors to consider when trying to work out the economic viability of a micro combined heat and power boiler, such as the FIT / Generation tariff, possible maintenance costs (outside of the warranty period), inflation over the investment period, your use of the system and its output, the current and future price of gas and electricity and your property’s varying seasonal energy requirements etc. With all factors considered and as an overarching principal, what current ‘available’ microCHP boilers do for you is lower the price you are paying for a unit of gas. It is by increasing the efficiency of the combustion process and by creating electricity with heat as a by-product that makes the microCHP co-generation process so successful. Baxi Ecogen released the award-winning ‘Baxi Duo-tec Combi HE’ in 2006 and was awarded the Which? ‘Best Buy’ and the ‘2008 CORGI Boiler of the Year’ award. The UK’s first domestic wall-hung micro-CHP appliance the ‘Baxi Ecogen’ was launched in 2010, and won the ‘Queen’s Award for Enterprise in Innovation’ in 2012. These units brought micro-CHP to the domestic market and are currently available to purchase. Further micro-CHP units using a variety of different engine types are promising higher efficiency and are creating a more competitive market which will inevitably push prices down. Driven forward by technological advancement, government carbon emission incentives / tax cuts and fines for energy companies, micro-CHP is set to become a very popular technology. It is said that of the 24 million households in the UK, as many as 14 to 18 million are thought to be suitable for micro-CHP units. 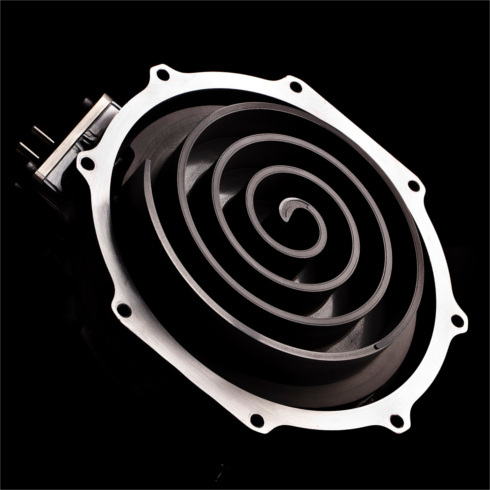 One such example of a device imminently due for release onto the UK market, is the ‘Flow’ mCHP unit. This uses a patented ‘Scroll’ generator to produce the electricity and uses a very cost-effective production method. The unit is set to compete directly with the price of standard ‘high efficiency’ condensing boilers on the market and the intention is for the manufacturer to provide the unit for FREE to ALL consumers, with the recipient paying for the install costs only (other T&C’s apply) and the manufacturer recovering the costs through the FIT over a 5 year period.